For some people, time travel is a fantastic daydream, but for Gertie O'Leary, it's just another magically induced accident. Just when you thought things couldn't get weirder at the Paranormal Plantation, Gertie decides to jazz the place up with another DIY project. Fuchsia's a great color, don't you agree? Sure, it's great. But after Gertie mixes her favorite color with a heavy dose of untried witchcraft, creating a strange time-warping side effect, she and her paranormal posse land in the court of King Henry VIII. You know what isn't great? Your friend loses her memory and tries to steal your boyfriend, you can't figure out how to get back home, and, worse, you're accused of witchcraft! Add in a pair of mischievous Sasquatches along with a curious dragon, and it spells certain doom for Gertie and her friends as they take their magical buffoonery to the 16th century! The names of the characters had me lmao! Gertie gets into magical trouble everywhere she goes and it makes for a brilliant story! Melanie James has a great imagination and she writes some of my favorite books. 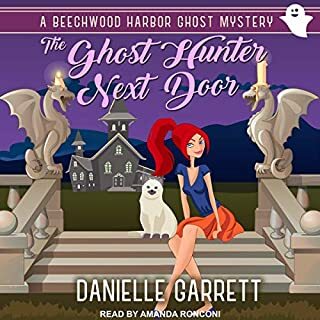 Hollie Jackson is the perfect narrator for Gertie and I love her Irish brogue. The narrator Hollie Jackson did a wonderful job, and was very easy to listen too. She did a great job with the different characters and their voices. 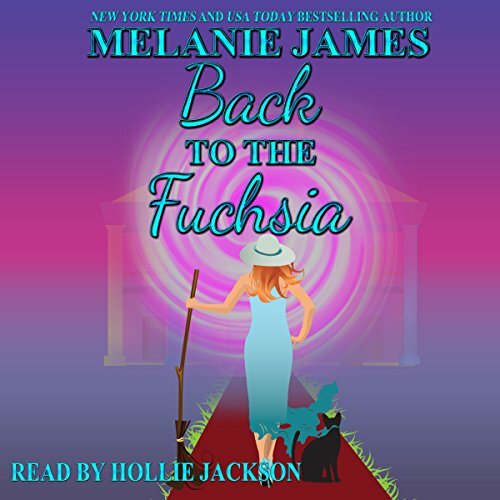 Melanie James Back to The Fuchsia narrated by Hollie Jackson is a wonderfully fun story about a witch who managed to find mischief everywhere she turns. 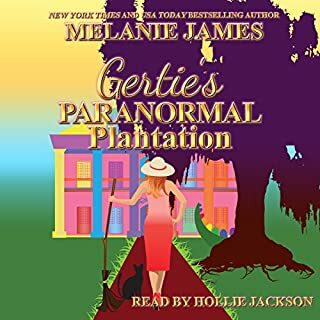 Hollie does a wonderful job with Gerties Irish accent, as well as the other characters. I can't wait for more! What did you love best about Back to the Fuchsia? EVERYTHING!! Gertie is still one of my favorite characters in this series. What other book might you compare Back to the Fuchsia to and why? Compare to another book that is not one of Melanie's - no comparison, as it is definitely an original story. I guess if I had to compare it to anything - I could compare this series to Robyn Petermans Hot Damn Series.. Why? because they are both too funny and original stories I can listen to over and over again. Hollie Jackson always does an amazing job. She is great at giving each character a great voice and amazing personality that completes the visual. Yes and I listened to it twice and will probably listen to again. This book is a must if you enjoy listening to hilarious books that keep you giggling and guessing. Gertie goes back in time! And we all know how much fun Gertie can be. 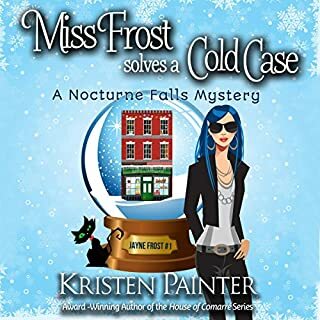 I loved this story, and listening to it made it even more fun! The narrator is great and the story kept me hooked (and laughing) throughout. Highly recommend! I was gifted an audiobook in exchange for my honest review. Another great book in an awesomely hilarious series. I look forward to many more books to come. This series is a must read. If your looking for a series to make you laugh so hard it hurts then this is the series for you. I really enjoyed this book. Gertie Cant help but find trouble. I've always enjoyed time travel books so I was eager to read this. My only complaint is the narrarotor. I'm not fond of her reading sometimes. Her voice for men all sound the same so you never can tell who it is until she says the name. All in all this was a good one and I can't wait for the next! Just as I hoped book 2 really was much better than book one. Melanie found her grove. This one is funny and endearing throughout. Once again Hollie Jackson really brings this tale to life. The voices she does for each character really enhance the experience. She has a wonderful clearly understood voice. Truly a narrator can make or break an audio edition of any book. Hollie Jackson made this a truly great and funny romantic adventure. 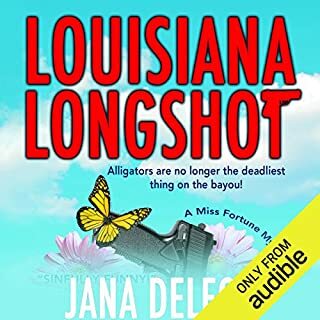 These stories are so much fun and Holly Jackson does a fabulous job as narrator. Another fun tale from the paranormal plantation. I just love this group of witches! Dragons, time travel, ghost, a pair of sasquatches, and painting a kitchen are all in a few days work with this group. 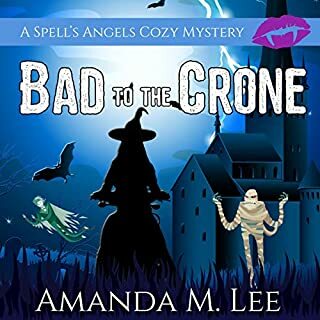 Melanie James does an amazing job weaving this fun tale and keeps you laughing through the whole book. Hollie Jackson does an amazing job with the narration of this book too.